Ending Poverty, Enriching Children: INSPIRE. ACT. CHANGE. The Global Network of Religions for Children (GNRC) Fourth Forum was held June 16-18, 2012 in Dar es Salaam, Tanzania, bringing together over 400 participants from 64 different countries around the world, including about 50 children and young people, senior religious leaders and representatives from different religious constituencies – Buddhists, Bahais, Christians, Hindus, Indigenous Traditions, Jews, Muslims, Shintoists and others – UN officials and leaders from various multilateral institutions and development agencies. His Lordship Bishop Dr. 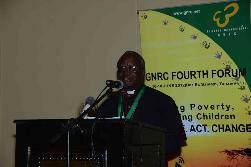 Method Kilaini, the Auxiliary Bishop of Bukoba and Co-Patron of the GNRC Fourth Forum presided over the opening Prayer for Peace, which was followed by an inspiring Documentary Video on Poverty. 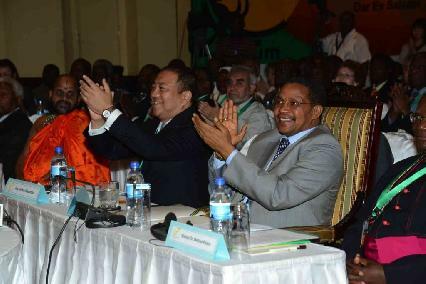 A diverse group of distinguished guests and eminent supporters including President Jakaya M. Kikwete of the United Republic of Tanzania, who delivered the Keynote address during the opening plenary were in attendance. They all affirmatively spoke about poverty and reiterated their commitments to improving the status of the world’s children. The young people from around the world also delivered challenging and inspiring presentations, which met with great applause from all the dignitaries and delegates in attendance. * Remarks and Introduction of the President of the United Republic of Tanzania by Hon. 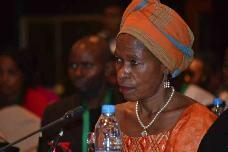 Ummy Ally Mwalimu, Deputy Minister Ministry of Community Development, Gender, and Children. Other dignitaries and eminent persons present at the Forum included: H.E. Mrs. Salma Kikwete, First Lady of the United Republic of Tanzania, H.E. Prof. Dr. Anna Tibaijuka, Minister for Lands, Housing and Human Settlement Development, and Former Under-Secretary-General of the United Nations and Executive Director of the United Nations Humans Settlements Programme (UN-HABITAT), His Grace Archbishop Dr. John Onaiyekan, Catholic Bishop of Abuja, Co-Chair, African Council of Religious Leaders, H.E. Rev. Dr. Samuel Kobia, Ecumenical Envoy to Sudan, Dr. Katherine Marshall, Executive Director of World Faiths Development Dialogue (WFDD), Sheikh Professor Abdul Ghafoor El Busaidy, Chairman of the Supreme Council of Kenya Muslims (SUPKEM), Mr. Kul Gautam, Former Executive Director of UNICEF, and Convening Chair, World Day of Prayer and Action for Children, Rev. Dr. Hans Ucko, Co-Chair, World Day of Prayer and Action for Children, Ms. Agneta Ucko, Director, Arigatou International – Geneva. 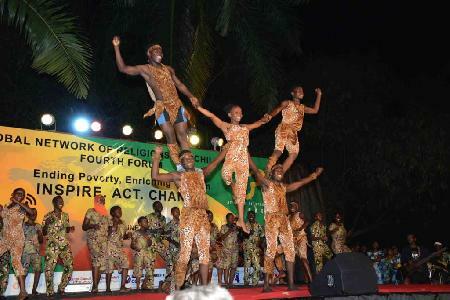 The Fourth Forum, held for the first time in Africa, came at a time when youth are leading non-violent transformations in various parts of Africa, demanding a better life, better governance and more access to opportunities, fitting the Forum’s theme of: “Ending Poverty, Enriching Children: INSPIRE. ACT. CHANGE.” It addressed issues of child poverty, its causes namely: Poor governance, War and violence and Unequal distribution of resources and how religious leaders can collaborate with other partners using their spiritual, social and moral resources to combat it. June 16 is also the Day of the African Child, a day when in 1976, hundreds of courageous children were ruthlessly gunned down by the Apartheid Regime of South Africa for demanding better education and livelihoods and for speaking out against imposed poverty. This year’s Day of the African Child is dedicated to children with disabilities. 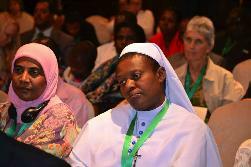 The children in attendance took part in the Forum as full participants and attended a two day children’s pre-meeting in Dar es Salaam, prior to the Forum, which on its closing day, H.E. Ms. Dorothy Rozga, the UNICEF Representative in Tanzania and Rev. Keishi Miyamoto, the President of Arigatou International, delivered special remarks to the children, encouraging them to actively participate in the Forum. During the opening plenary, the children made presentations to highlight the plight of children in poverty and directly appealed to leaders present to take action to ensure their fellow children lived dignified lives, free from poverty. Participants were engaged in presentations and group sessions on three thematic areas that provided the opportunity for a renewed commitment to tackle child poverty. 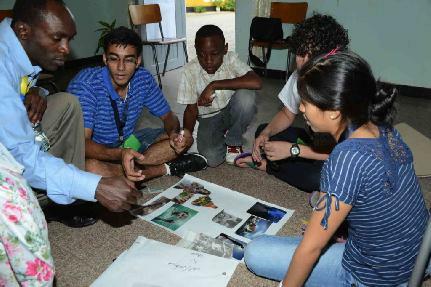 After the presentations they were divided into three group to discuss indepth about the three thematic areas. Dr. Kezevino Aram, Vice Moderator Religions for Peace and Director for Shanti Ashram, Archbishop John Baptist Odama, Catholic Archbishop of Gulu and Chairperson, Uganda Episcopal Conference of the Roman Catholic Church and H.E. Sheikh Younes Aberkane, President of the Muslim Scouts Movement in France (SMF) chaired the thematic group sessions. On the evening of the third day, Rev Keishi Miyamoto hosted all participants at a dinner reception whose guest of honour was H.E. Mrs. Salma Kikwete, the first lady of United republic of Tanzania. They both called for stronger human relations and committment in eradicatig child poverty. H.E. Mrs. Salma Kikwete, declared her full support for the New GNRC Poverty Initiative. The Report from the World Day of Prayer and Action for Children (remarks by Mr. Kul Gautam and Rev. Dr. Hans Ucko) and the Report on the Ethics Education Initiative since the Launch of Learning to Live Together: An Intercultural and Interfaith Programme for Ethics Education at the GNRC Third Forum in Hiroshima, Japan (remarks by Ms. Agneta Ucko) were presented on the third day of the Fourth Forum followed by the plenary discussion and Presentation on the GNRC Fourth Forum Declaration. On the second and third day, regional sessions incorperating all the GNRC regional networks from Africa, Arab States, South Asia, Europe, Latin America, and Israel were held to share and reflect on the work of the GNRC in the various regions, and to develop new action plans and priorities. The regional reports and action plans are included in the comprehensive GNRC Fourth Forum Report. At the same time, Roundtable Consultations on Partnerships to Address Poverty took place with a broad variety of partners namely: Aga Khan Development Network, African Council of Religious Leaders, Arigatou International, Centre for Interfaith Action on Global Poverty (CIFA), Finn Church Aid (FCA), International Monetary Fund (IMF), the Islamic Foundation, Norwegian Church Aid (NCA), United Nations Children’s Fund (UNICEF), United Nations Development Program (UNDP), Religions for Peace, the World Bank, World Faiths Development Dialogue (WFDD), Young Women’s Christian Association (YWCA), and other Partners and Invited Eminent Persons. 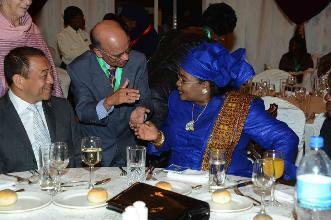 This was chaired by H.E. Rev. Dr. Samuel Kobia, and Dr. Katherine Marshall, the Executive Director of the World Faiths Development Dialogue (WFDD). The Declaration Drafting Committee worked later that evening to incorporate the input from the participants into a draft of the "Dar es Salaam Declaration" of the GNRC Fourth Forum. After further comments were incorporated, the declaration was read aloud during the closing ceremony by the chairperson of the Declaration Drafting Committee, His Lordship Bishop Dr. Method Kilaini, and officially presented to the children. Read the "Dar es Salaam Declaration" of the GNRC Fourth Forum and the launch statement on the GNRC's new initiative, "Mobilizing Faith-based Resources to End Child Poverty." Presiding over the closing ceremony was H.E. Prof. Dr. Anna Tibaijuka, Minister for Lands, Housing and Human Settlement Development, Former Under-Secretary-General of the United Nations and Executive Director of the United Nations Humans Settlements Programme (UN-HABITAT), who offered closing remarks, which were followed by an Interfaith Prayer for Peace. There is hope for the world to attain peace and sustainable development. Through working together to end violence against children, we stand a chance to shape and change our world. The world is obligated to address what has become the gravest injustice to humanity, the injustice that children should still die of causes that we can easily prevent. We must build enduring partnerships that will address the effects of extreme poverty, especially those affecting children. Extreme poverty is perhaps the gravest global injustice of our times. There is an urgent ethical imperative that we commit ourselves to a vision that no one, especially children, should live under conditions dictated by extreme poverty. The potential to change the world is everyone's responsibility. We believe all are equally dignified in one human family, the destiny of which is inseparable from the wellbeing of each and every child. Many at times violence against children is attributed to societal negligence. Solving this requires governments, civil society organisations, religious leaders and communities to work together to prevent and end the vice.